2018This book was created in 2016, when China and Britain marked the 400th anniversary of the deaths of Tang and William Shakespeare. This book was created in 2016, when China and Britain marked the 400th anniversary of the deaths of Tang and William Shakespeare. 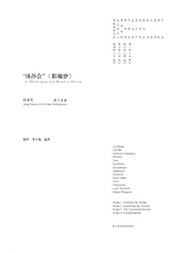 The play pays tribute to Tang Xianzu by retaining the original lyrics, while combining the elements of traditional Chinese opera with creative ideas adopted from modern dramas. This book collects stage photos and articles of this play.